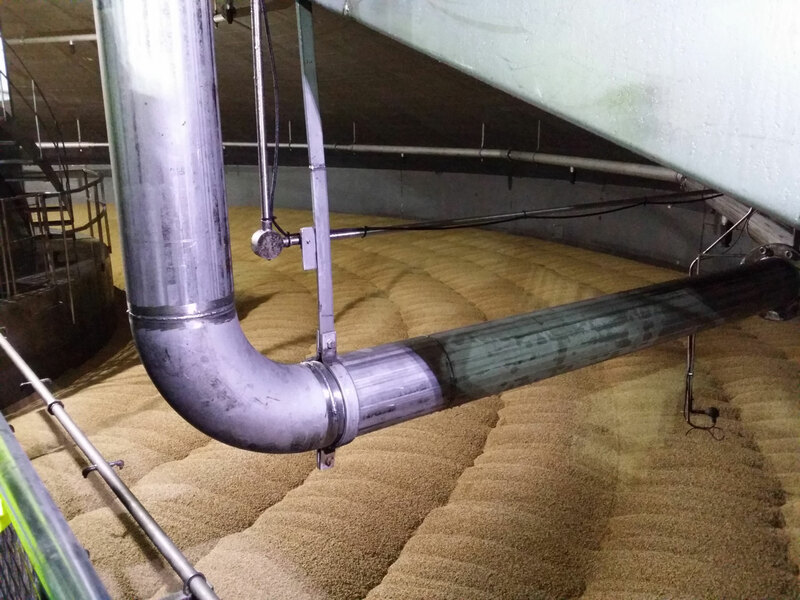 Under controlled climatic conditions the barley begins to grow during the modification phase, where enzymes break down the proteins and carbohydrates, essential for fermentation later on in the production of whisky. 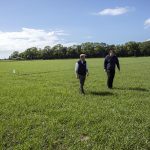 After germination has arrived at a critical point, the barley is kilned – you could also call it heat-dried, to terminate the germination process, or otherwise a barley plant would grow and we wouldn’t want that to happen, now would we? 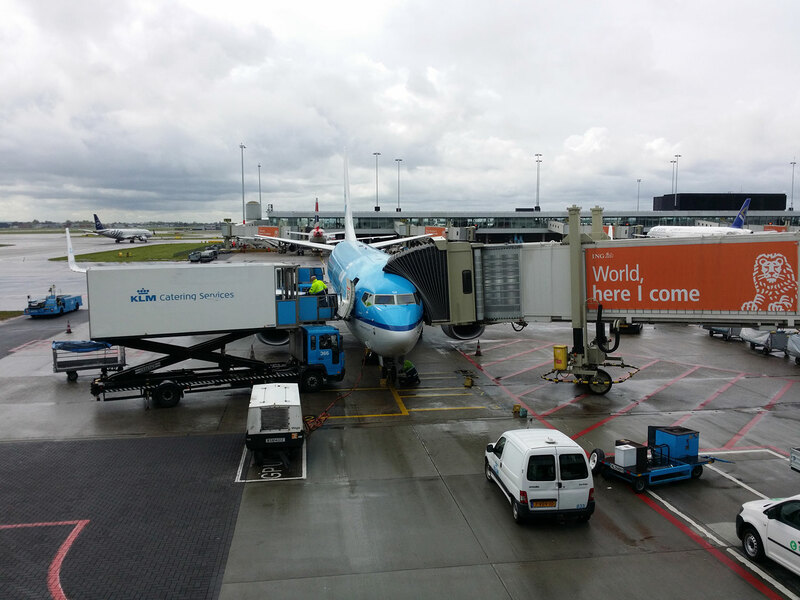 Drying is achieved by introducing hot air through the bottom of a perforated floor. 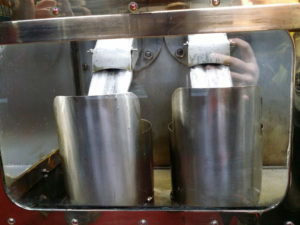 Sometimes peat is used during the first phase of kilning to create smoky flavours, at the Buckie maltings they only produce unpeated malt, from local (Scottish) Concerto barley. They once tried making a peated batch, but after burning 40 tonnes of peat only got them about 10 ppm in the malt, the trials were abandoned. In fact, there are two very remarkable things about their particular setup: Boortmalt in Buckie has the biggest batch size for a maltings operation in the world at 580 tonnes per batch and they use the same vessels for germination and for kilning (third picture). An entire batch of malt takes six days from start to finish, which works out to an an annual capacity of 58.000 tonnes. Having already visited the Port Ellen maltings on Islay (I know I’m far behind writing about the Islay trip…) and the floor maltings at Springbank it was fascinating to see how similar and different at the same time the approaches to malting barley can be. Different approaches, different techniques, but always the same basic principle dictated by nature. Definitely not your usual tour and a privilege to get this in-depth behind-the-scenes look at a facility usually closed to the public. Definitely not usually closed to the public, fitted with a visitor’s centre, is the Speyside Cooperage in Craigellachie, our next stop, where we bumped into Ileach Rachel MacNeill again, who we already met at Buckie earlier. 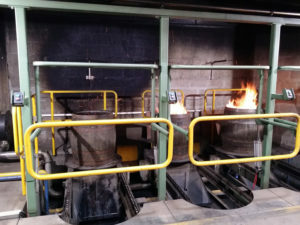 The usual tourist tour of the cooperage takes you to a viewing room with an audiovisual (and nasal – I’m not too sure about having scents blown at my nose while watching a movie, to be honest…) experience and afterwards you can watch the coopers at work from a secure viewing area. 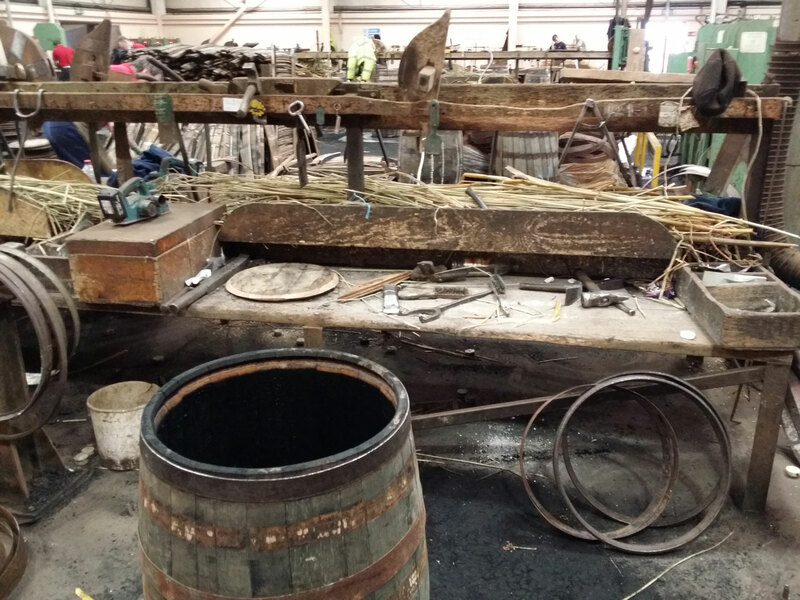 Our tour with Ronnie Grant, however, took us down to the workshop floor, to experience, sense and smell what is mainly an operation to either repair casks or turn your American standard barrel into a slightly bigger hogshead. 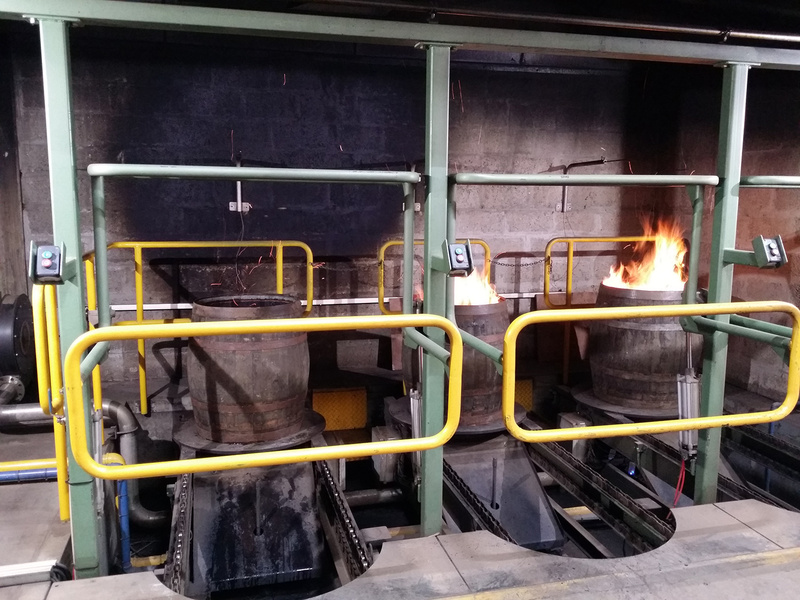 Coopers at the Speyside Cooperage are still paid on a per-cask basis and you can tell by the way the workers hustle as quickly as possible to churn out as many casks per day as they can. This way 14 guys repair about 100.000 casks per year – which is quite a high number, but then again there are millions and millions of casks maturing away in Scotland – roughly 30 million 2nd hand casks, 90% of which are American white oak! 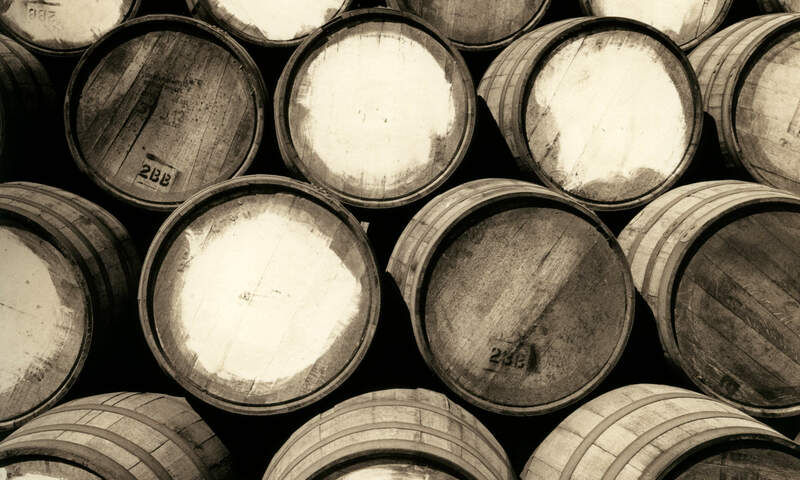 But then again, casks spend most of their time sitting around maturing whisky for years at a time, going back to a cooperage maybe two or three times during their roughly 60-year life span. The 100.000 cask figure includes all types of work – from small repairs to turning barrels into hogsheads to removing the charcoal layer of older, tired casks and recharring them so they can be used one more time (or two). 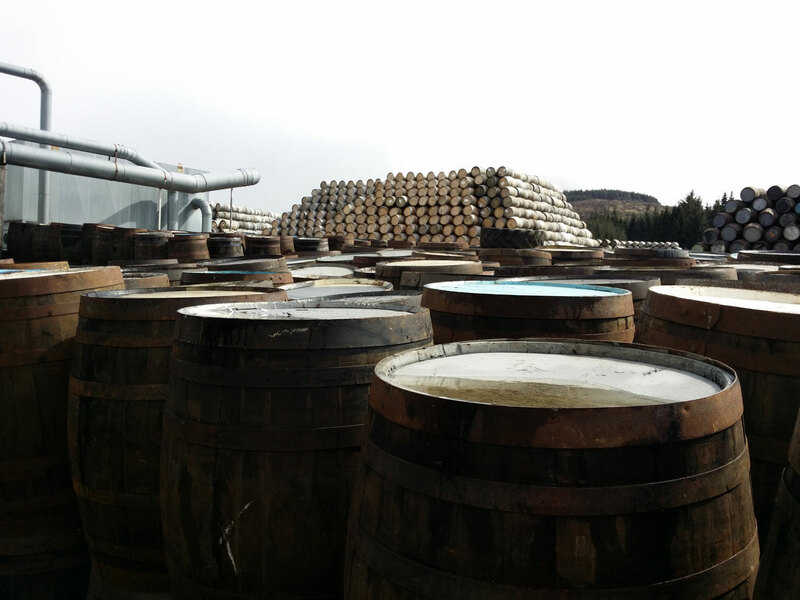 Sometimes new casks are made, but that’s not the norm. Interesting fact: The hardest job for a cooper is to reassemble a “flat-pack” cask – a cask which has previously been broken down into its components, the staves, cask ends and iron hoops. Flat-packing used to be the norm for all barrels coming over from the USA, but since shipping is now cheaper than labor, most casks are shipped over fully assembled these days (preserving a very fresh and strong smell of Bourbon, which my nose can vouch for). Due to wearing gloves and the very noisy workplace making conversation difficult I spent most of the time there just soaking in the atmosphere and watching the coopers work instead of writing down too many things. 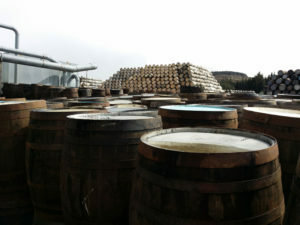 One of the tidbits I did note was the mentioning of a huge amount of ex wine casks passing through the cooperage these days – casks are high in demand and experimentation is at peak levels (perhaps a bit over the top in my opinion, but, hey, call me old-fashioned…). All in all a very intense and rewarding tour, ending with a relaxing cuppa tea and biscuits and a nice wee chat with Rachel in the small cafe in the visitor’s centre. 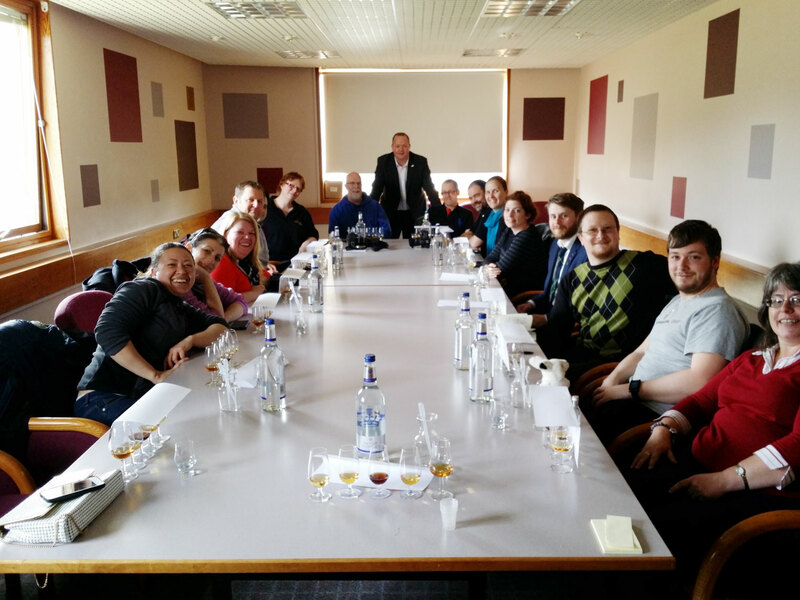 Since we had already taken a look at how malt is produced and looked at the making and repairing of the vessels, the water of life spends its time in maturing, we were ready for our first distillery tour – and a treat! 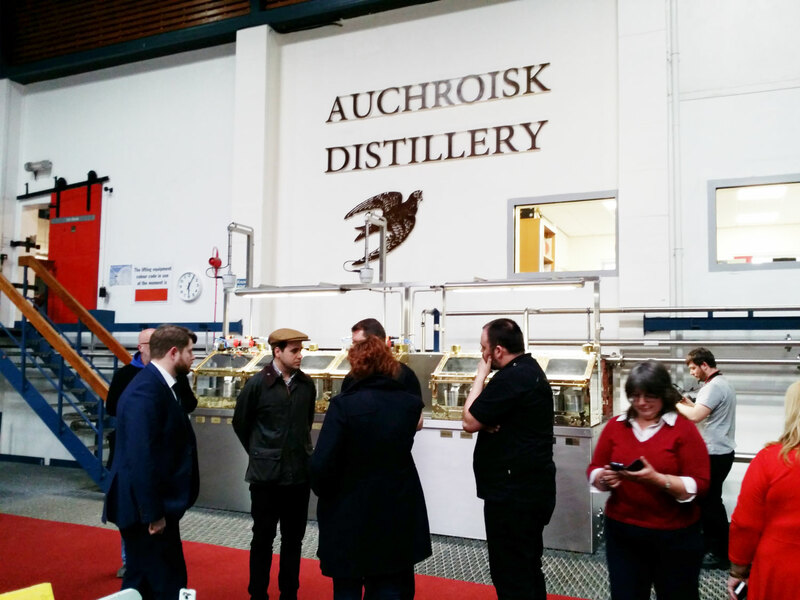 The tour of Diageo-owned Auchroisk distillery, not usually open to the public, and host-distillery of this year’s festival, was kindly organised for a closed group of #whiskyfabric friends by festival Administrator Pery Zakeri and Chairman James Campbell. Thanks again for the invitation! 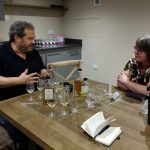 Alistair Abbott, distillery manager, kindly showed us around the premises in a very relaxed atmosphere, took time to answer the nagging questions of inquiring whisky bloggers and geeks. 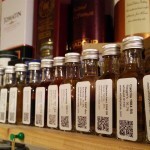 By the way: As you can see, there are distillery pictures! 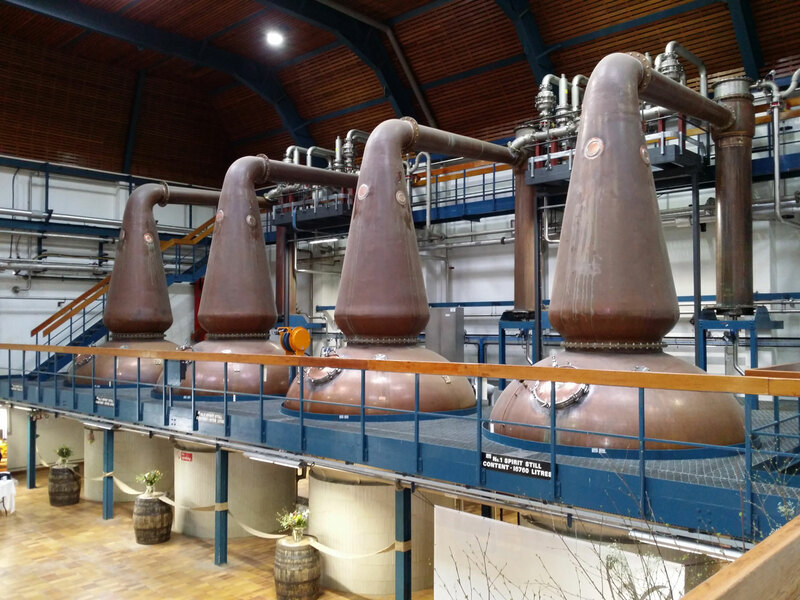 A first for me, a Diageo-owned distillery where I could take pictures. Cheers, guys! And, as you can see, we didn’t blow the place up, so maybe it’s time for others to rid the photography ban. Anyway, I digress… (it’s a bit of a pet peeve of mine). 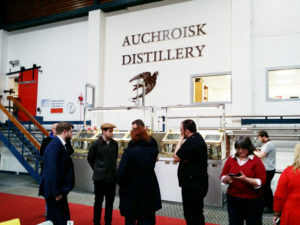 Auchroisk distillery was built between 1972 – 1974, an interesting time for a construction of a distillery, since only a few years later a massive wave of distillery closures followed. 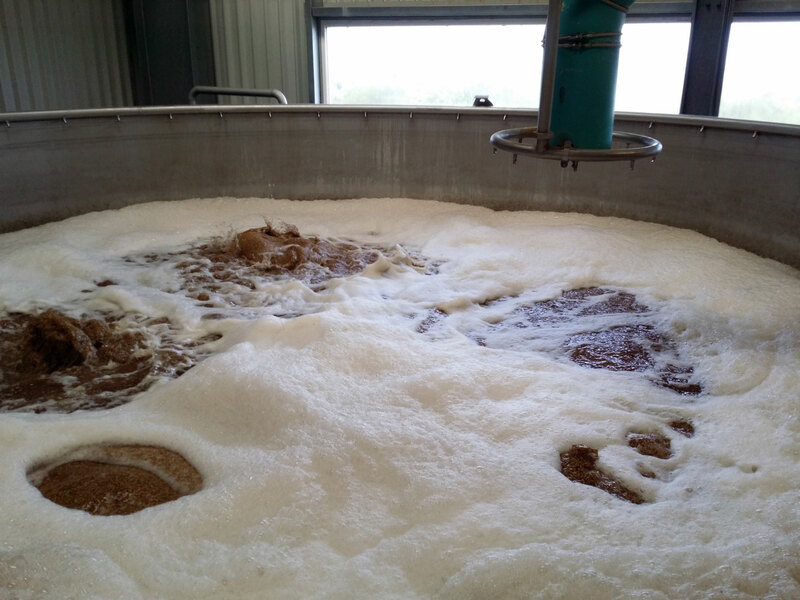 These days the eight stills (four wash, four spirit) produce 5-6 million LPA (litres of pure alcohol) annually, which makes it one of the bigger distilleries in Scotland, producing predominantely for the Blended Scotch market. 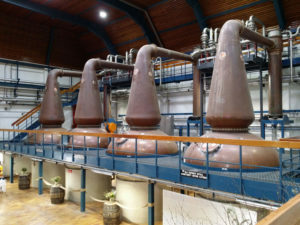 As such Diageo is looking for a nutty, malty flavoured whisky, which they achieve by very short fermentation times (about 55 hours) and I’m sure the thick wide-necked stills and the vigorous distillation (my impression) help too. 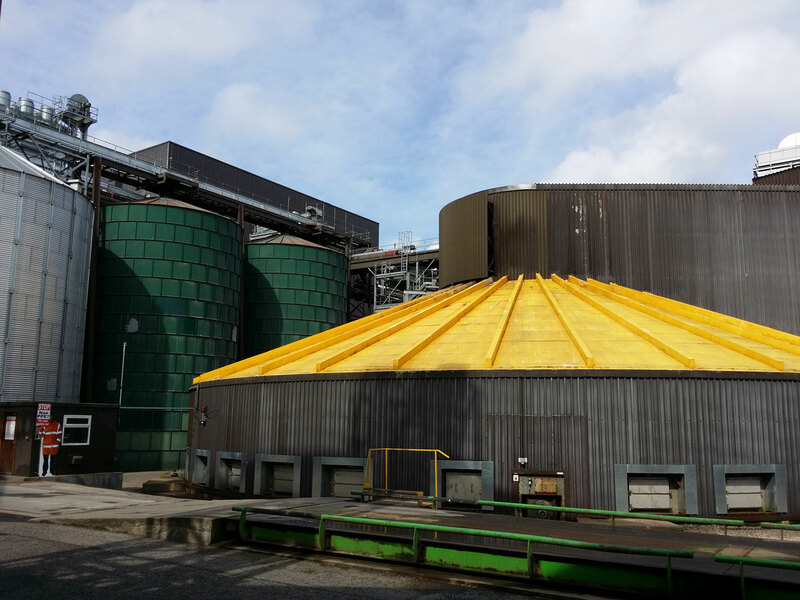 One interesting thing to note is that in 2015 they invested in a brand-new anti-collapse and anti-overpressure system (so the stills don’t collapse or explode) – I’ve never seen a system as advanced as this! 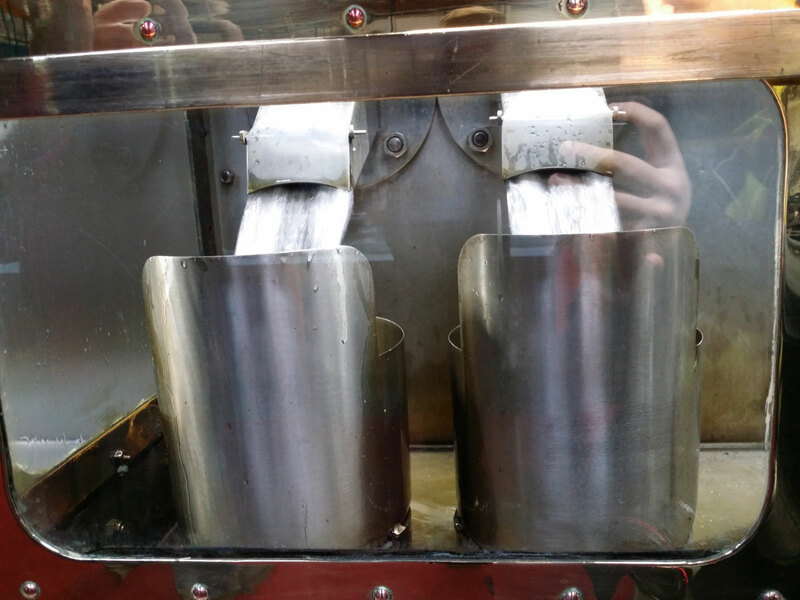 The distillery is highly automated, there are even no manual handles at the spirit safe – the handles are turned by motors operated from the control room! While we were busy exploring the distillery and chatting with Alistair and each other there was a sudden interruption as the distillery was flooded by the sound of the Strathisla pipe band starting to play, getting ready for the Ceilidh later in the evening (which I regret not having gotten tickets for). That was our sign to head back to the Auchroisk board room for a meeting and blind tasting with Donald Colville. The five drams we got to taste were Auchroisk 10 Flora&Fauna, Cardhu Gold, Johnnie Walker Green Label 15 yo and two special drams: One was an overcooked 1st-fill European Oak cask sample from 1987 – not very enjoyable on its own but very educational and interesting to blend with, and a 21 yo Benrinnes from the 2014 special release series. 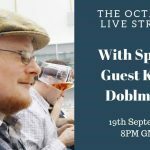 The latter was definitely my dram of the very enjoyable and chatty evening. That’s the thing about spending time at a tasting with fellow whisky geeks: The no-BS attitude, no glorious brand messaging and overhyping, just honest and well-spirited (pun definitely intended) conversations with friends old and new about our common passion: Whisky. 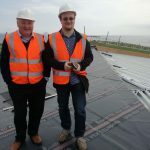 And on that high note I’m afraid that’s the end of the first part and the first day – check back soon for part 2 – subscribe on twitter, Facebook and even Google+ to make sure you don’t miss the new content!